Have you ever had photos taken that you were just not pleased with...in fact, you thought they were horrible? As a photographer, I could spend hours looking at the work of other photographers. I love to see other styles of shooting, learn ideas, find what I like and what I don't like...my reasons of interest are endless. It is reasonable to also assume that there are those who don't care for my style of photography, just as well as those who love it. There is a lot of technique required in photography, but there is also a lot of personal style that a photographer brings to a shoot. But there are some things that a photographer is at the mercy of the subject...and that's what I'm focusing on right now. My daughter was given an appointment for her High School Senior photos several years ago, and against my better judgment, I let her spend the night with one of her friends the night before the photo shoot. That shouldn't have mattered, but the appointment was for 8:30 am. Now realistically, who would expect a teenager (or anyone!) to look their best at that time of morning? Needless to say, the photos were horrible - and we didn't buy any of the extremely overpriced packages offered. But how much of it was the photographers fault - and how much was the responsibility of the subject? 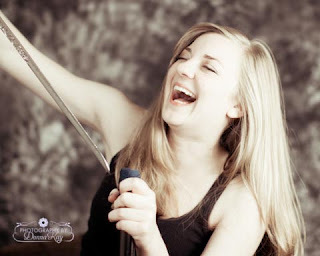 In this instance, the photographer really dropped the ball in several areas: Poses...they were ridiculous! There were a couple of the usual portrait poses, but even they were a bit cheesy. But then they had her standing straight with her arms straight above her head. Personally, I probably would have said "um, no, we are NOT going to take a picture in that ridiculous way!" - but at 17, I might not have been that bold yet. So, definitely, the poses are the responsibility of the photographer. As a photographer, I might ask a subject to try a certain pose to see how it looks...and there are times that I think "nope - that didn't work for them" where it might work for someone else, or might just have been a bad idea altogether. But I have to have the photographic sense to know that. Next the photographer knows the time of day they are setting appointments - and needs to keep in mind that 8:30 am, beginning of summer, teenager....hmmm...might not be a good idea? Maybe let's think about 10:30 at earliest? I really like to do a lot of my photo shoots outdoors when possible. There is just no better lighting than natural lighting - and there is no better backdrop than the endless options outdoors. I know it's best not to try to do young children late in the evening when they are getting cranky and tired - or a newborn when it's time to eat (of course, I DO want to get them when it's naptime!)... but I have to think about all of these issues. Also, being outdoors, I have to think about the direction of my light, and plan accordingly. But as the one being photographed, you need to be open to communication and say "that's not the best time of day for us"..."that is naptime, dinnertime, etc." and give a time that works better for you. But what about the responsibility of the person being photographed? Surely they have some. Of course they do! These are your photos... so you want to look your best. If you know that skirt or top doesn't look that great in the mirror, don't think the camera will change that. If you are overweight, then love who you are - but don't get upset if you look overweight in your photos! It's photography, and yes there is some help with some things in Photoshop -- but unless you want to be totally recreated in Photoshop, it can't make you 10 lbs lighter. So take the time to look the way you want the camera to capture you... and give the photographer the most to work with. And if you get a good photographer, I promise you that when you let them do their thing and get lost in their art, in the end you will see something you will love. 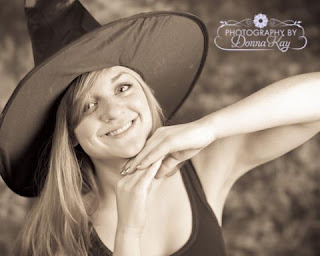 Now my daughter is a Senior in college... we learned lots of lessons from her Senior photos in high school, so I will be doing these Senior pics myself!